Erin Spencer, a first year student at Air Hawke’s Bay, experienced flying four sectors in the jump seat of a Boeing 737 with Captain David Morgan and First Officer Kurt Chute (ex Air Hawke’s Bay student). “It was great to see how the training we have done this year applied operationally” says Erin. 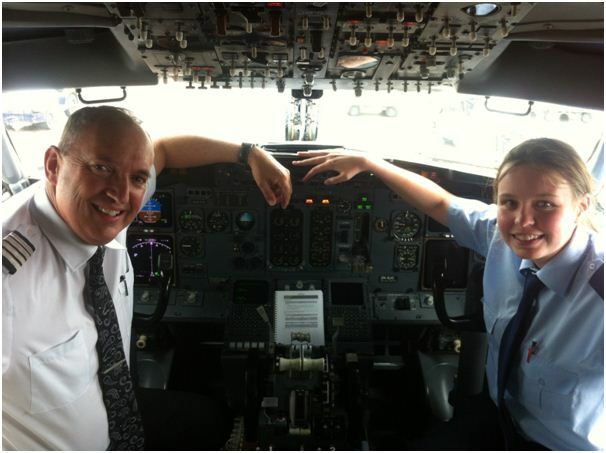 Photo: Captain David Morgan (Chief Pilot of Air NZ) and Erin Spencer (first year student at Air Hawke’s Bay) in the cockpit of Boeing 737.